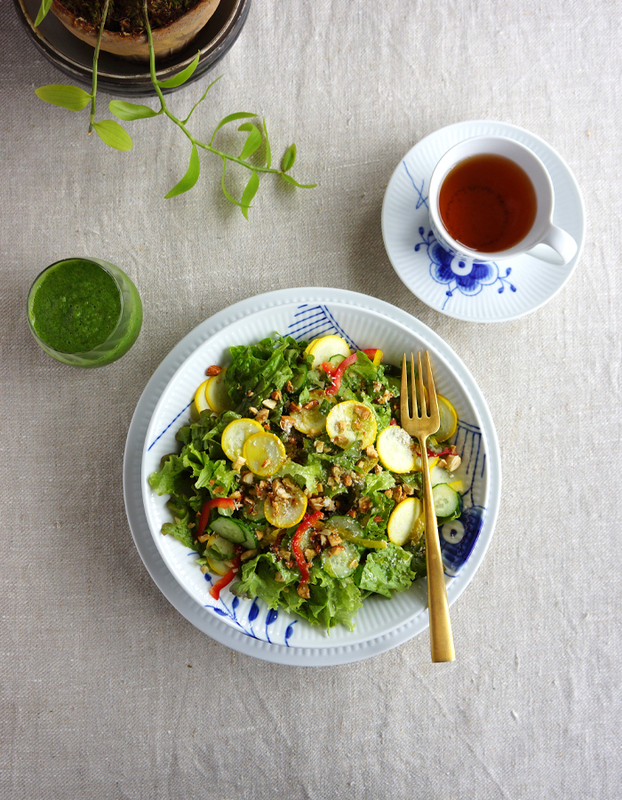 My breakfast situation…zucchini and cucumber mixed salad with crunchy roasted almonds, green smoothie and a cup of tea. 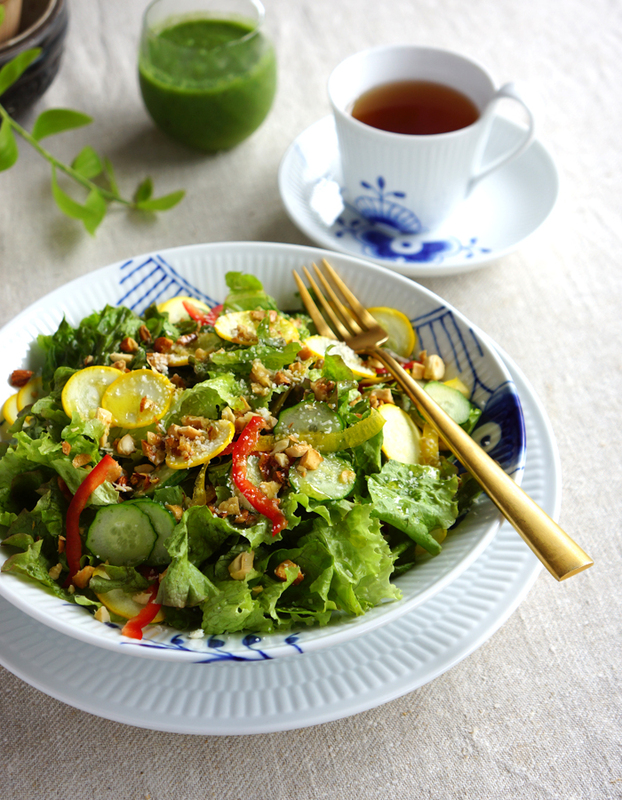 Before sprinkling the chopped almonds over the salad, I always toast them lightly in the oven. These organic almonds are without salt added.